29. Betty Fussell- A shelf of her books is a snapshot of every major recent food trend—often before it happened: She’s done local, and seasonal, and in–depth biographies of single ingredients (The Story of Corn), and My Kitchen Wars is one epic food memoir. We're diving back into our 50 women game-changers this week with number 29, Betty Fussell. Betty is another new-to-me name...which is totally insane, as she's been writing articles and books on "what it is to be an American" for the past 50 years. That's 24 years longer than I've been in this body. She began by looking at movies and theater and then moved into "our" genre. Food. And really, when I began to look at her resume, I suspect that somewhere deep down, I recognized her name. She earned a BA from Pomona College, and MA from Radcliffe College and a PhD from Rutgers. She taught she taught literature and film at the New School for Social Research and writing at Columbia University. She quit teaching in the 1980's and began writing (hooray for us!). She's lectured everywhere from Universities to Corn Festivals...and she's still going strong! For more information on Fussell, please check out her website (which is where I garnered these tasty tidbits on her). So, upon learning more about Fussell, I immediately assaulted Amazon and starting snatching up her books for anywhere from a penny to a couple of dollars. Raising Steaks: The Life and Times of American Beef and Crazy for Corn are sitting on my side table, as well as her memoir, My Kitchen Wars. I can't wait until I get some "extra" time to spend with Betty...for she has a magical way with words and storytelling. And how lucky is it that the only actual cookbook of hers that I ordered was I Hear America Cooking: The Cooks, Regions and Recipes of American Regional Cuisine !? Lucky because I ADORE IT! It is divided into sections. 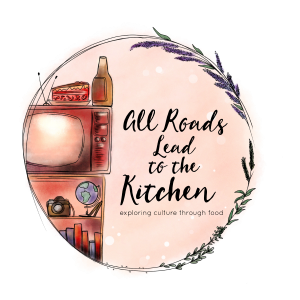 Each section explores the history, stories, traditions, food, and the cultures of a particular region of North America- complete with illustrations and photos. From Indians and Conquistadors (The Mexamerican Dessert) to Cajuns and Creoles (The Delta South) to Planters and Slaves (Southeast Dixie) to Seafarers and Settlers (The New England Coast) to Trappers and Milkers (The Great Lakes of the Midwest) to Prospectors and Asiatics (The Ecotopian Northwest)...history of food and it's origins in every introduction and recipe. You may see me cooking from this book quite often! Whip the butter in a mixer or food processor. Beat in honey and lemon juice. 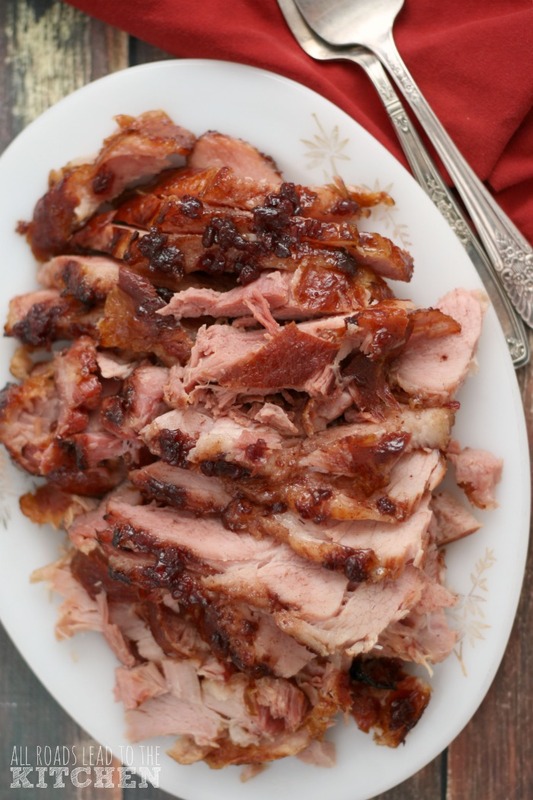 Taste and adjust to the honey/lemon juice balance you prefer. Refrigerate in a covered container when not in use. Mix dry ingredients together in a large bowl. Stir in and oil and water with a wooden spoon. Knead lightly with you hands for a minute or so, until dough is elastic, taking care not to overwork. If dough is still incredibly sticky, add in a bit more at a time until it only feels tacky. Form into a ball and wrap in plastic. Refrigerate for one hour. Divide into 12 roughly equal balls of dough. Flatten with your hands and, on a lightly floured surface, roll them into circles that are 7"-8" in diameter. The thinner they are, the better they will puff in the oil. Pole a hole in the center with your finger. Dust tops lightly with flour. Heat an inch and a half or so of oil in a deep skillet (to about 375° F). One at a time, slide the rounds of dough into the hot oil to puff and brown, ~1 minute or less per side. Drain on a paper towel-lined plate or tray. Spread them while still warm with honey butter to serve...or just dust them with powdered sugar or eat them as-is. OR...make them into puffy tacos! To make taco shells, slide the round of dough into the hot oil and let cook for a few seconds. Carefully flip with tongs and then grab one side and fold into half, holding in the oil until one half of the fold is cooked, then flipping while still holding to finish other half. Remove to paper towel-lined plate to drain and then fill with seasoned beef, venison, or buffalo and your favorite toppings! I have to try this bread soon. It looks pretty tasty! And the honey butter sounds perfect for it! Thanks! Oh my GOD Heather, I want to live in your kitchen. 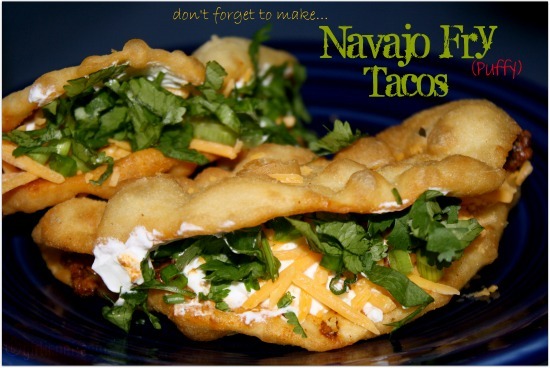 Navajo fry bread is kind of...my most favorite thing EVER. Not lying. The sandwich with it at the Cheesecake factory was always my go-to order when I went and since then I've been obsessed. OBSESSED. You got the same cookbook I got! I was able to put some on hold at the library - you are right, this book is well divided into sections I have not seen before. Great recipes in there and I love that you turned the bread into tacos! What a great post! I posted a bread recipe this week for my BYOB; where do I let you kknow. All of the directions for how to submit your entries are on the BYOB page. You can click through the button or the tab at the very top of this page. Looks like you will be immersed in betty for a while Heather. 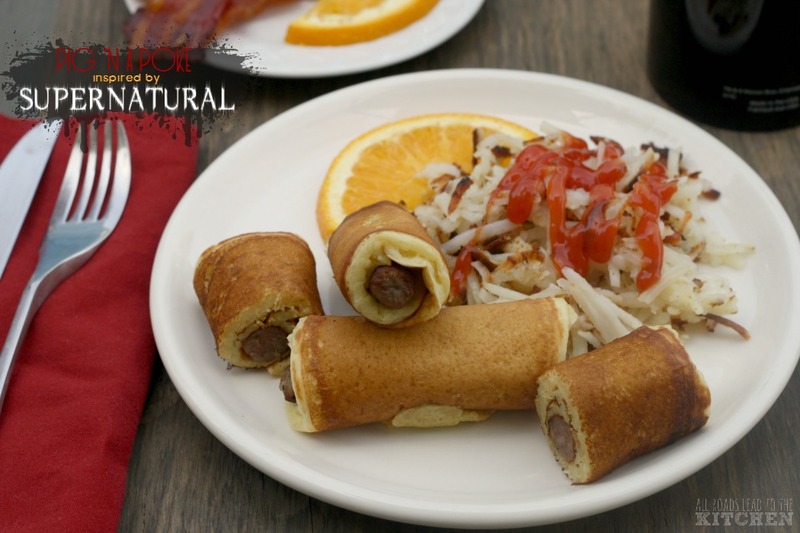 These fry cakes sound wonderful, in fact I think that here we call it bannock. 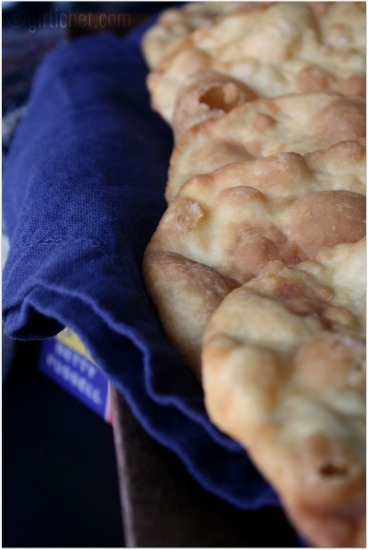 We think of bannock as a native Indian bread but it actually originated in Scotland. Wo would have guessed. 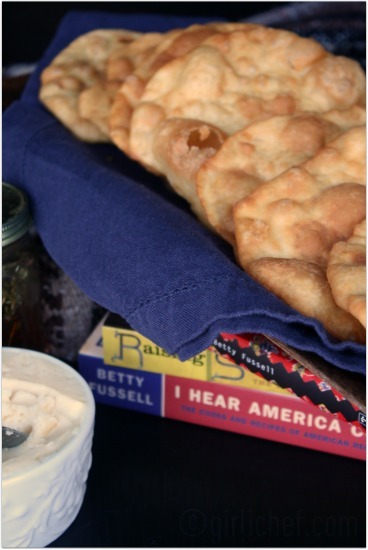 I'll ahve to dig up a few of Betty's books myself now...the fry bread looks delicious!! This is right up my alley, Heather! Love the way that taco looks! I love a fry bread and am so glad you posted this. A must-do this winter. I am also scouriing Amazon for her books. Great description of her book, "I Hear America Cooking". I'm going to have to scout around for that book. It sounds like great reading! I love the tacos idea and the use of thyme honey in the whipped butter is just inspired! Heather, you always make me happy that I visited your site! Great post! I have been meaning to getting around to cooking some flat bread and the like. 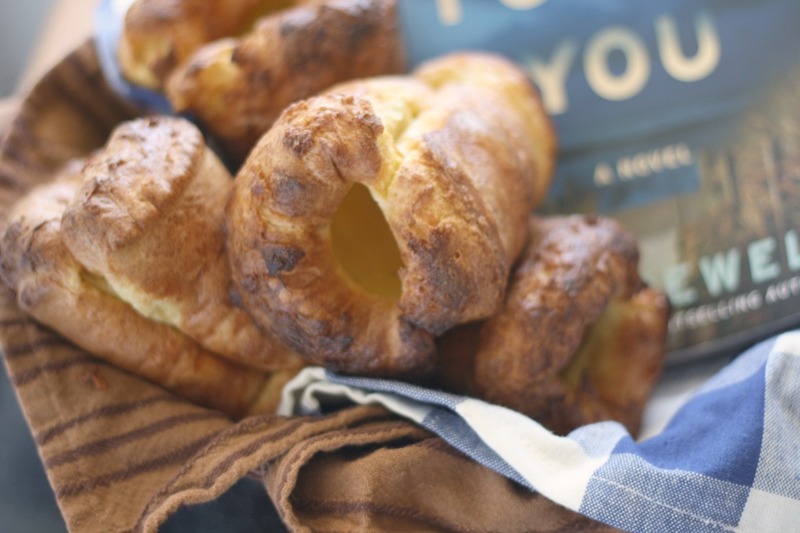 These sound lovely as does her book "I hear America Cooking" Isn't it just wonderful to have some of the history behind each recipe! ah, to be a guest in your kitchen, how gorgeous is this! the honey butter sounds amazing and the navajo tacos are just mouthwatering. all so delicious! 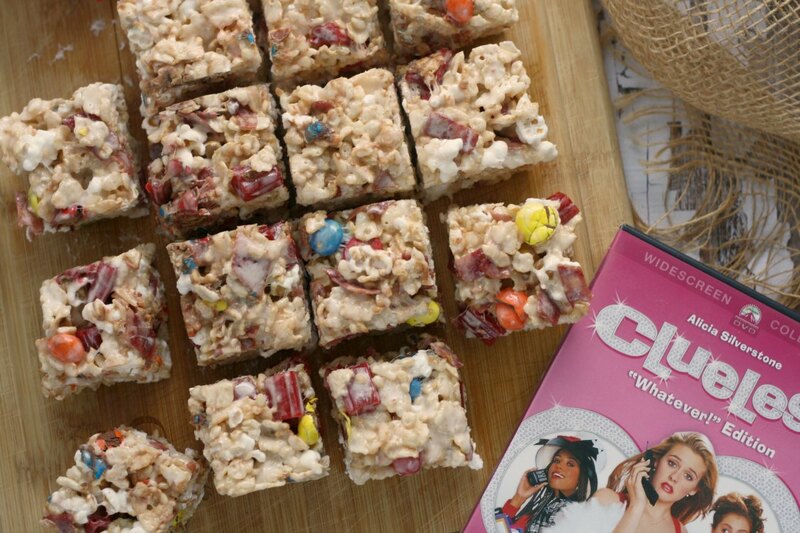 Oh, we used to make and eat these like crazy when my sisters and I were teens. My favorite is to top them with beans. Mmm! 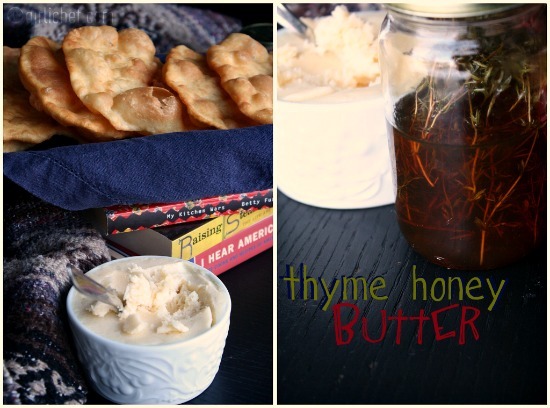 I've never tried fry bread but it looks like a great treat especially with the honey butter. I just ordered her cookbook "I Hear America Cooking" on Amazon. I can't wait to go through it! It's called an after Christmas present to myself...I get at least one every January! Happy New Year! I love fry bread!! really I need this cookbook, I know I would love it!! Thanks! 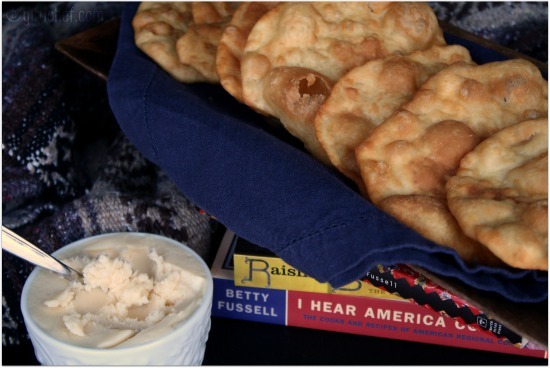 Oh my...Navajo Fry Bread with honey butter....doesn't get better than that! Looks delicious. I somehow had not heard of Betty Fussell before joining this group either...she is a remarkable woman. 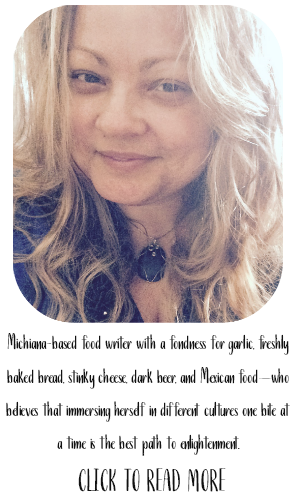 I loved your post today...those tacos look pretty amazing too! These look great, Heather! I'm still afraid of cooking in oil, but I might have to give it a try soon. You know me well Heather, you knew that I would just drool over this Navajo Fry Bread with Honey Butter. I remember when we made Fry Bread all the time, and now I need to make it just one more time. I loved your post about Betty Fussell. Hope you are having a great week end and thank you so much for sharing with Full Plate Thursday. I have heard of this before, but didn't realize how easy it is, I have to try it!